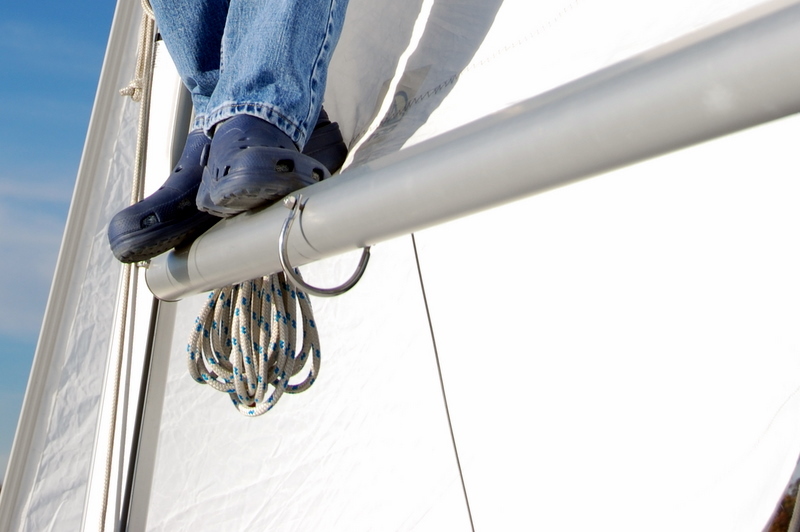 This was taken just two-weeks ago—me walking on the boom on a sunny day sailing. Quite a different story tonight with icy rain is sweeping across Sothern Ontario and tomorrows temperatures predicted at -5c. With this unexpected cold snap, given the worries I raised in yesterdays post about water ballast freezing, I decided to take the boat out of the water this evening. It was quite the adventure getting the boat to the ramp and onto the trailer in the dark with tonight’s wind and rain. But it is done—and that is it—the season is over.